Question: What is YOUR perfect hunting rifle setup? "If you could choose one hunting rifle to use exclusively for the rest of your life, what would it be?" Sometimes the conversation will last a week because in the middle of the night a guy with a Remington Model Seven might have an epiphany and change his caliber of choice from .338 Fed to .280 Ackley but then he needs to change the gun/platform too! You don't have to own it currently because what lunatic (other than your wife) would ask you to have only ONE gun? 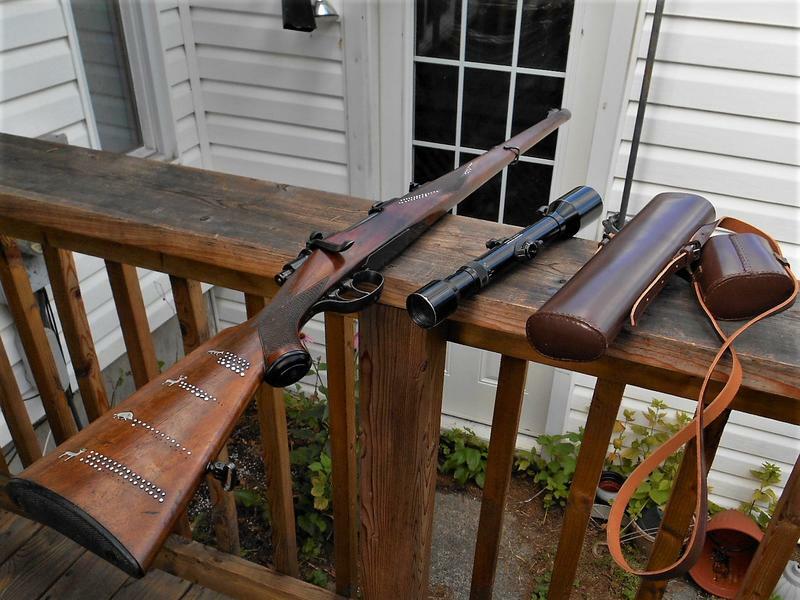 Image Below: Shane's Mauser M03 375 H&H with grade 5 wood hand selected at the factory in Germany. 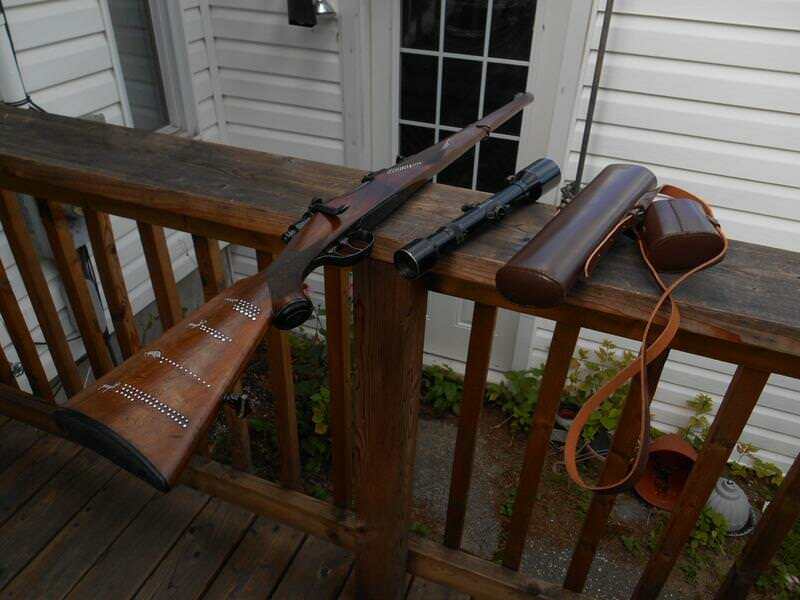 I wouldnt nessesarily call it my holly grail, but ive got a 1961 jm marlin 336 in 35 remington. 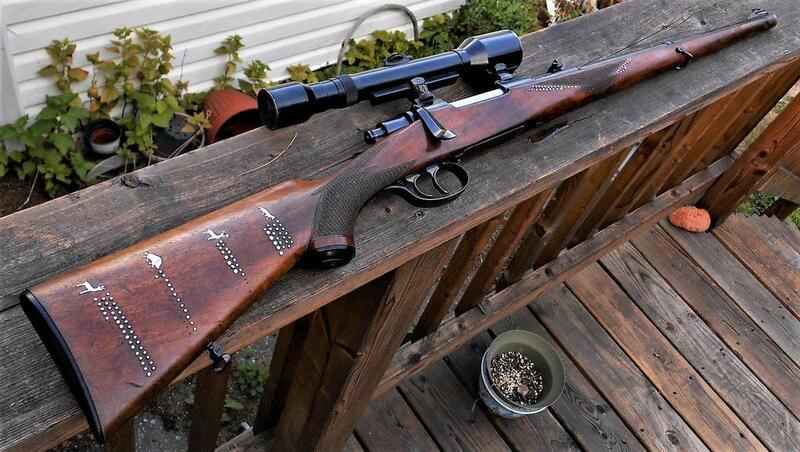 A unique caliber for a classic rifle. I will start it off! This year I have decided to make the gun mentioned above. I'm taking an older Remington Model Seven and having International Barrels (IBI) make a .338 Fed(Reamer on the way and will be the first they produce!) with 19" 1-10 Twist and as light a contour they can produce without sucking. I've decided to put a Leupold VX-3i 2.5-8x36 with standard duplex reticle on it. A lightweight and compact scope, that looks pretty on top of the rifle. I am unsure if I want to have a Wildcat Customs stock built for it yet but that may come. I chose this build planning to use Federal Premiums .338 Fed 200gr Trophy Bonded Tip with the following on the box data. Will need to crono and test when barrel is finished. Personally I do a lot of pack hunting where size and weight play a huge factor in my rifle choice. Also my average kill distance is 60m-100m but would be comfortable shooting this package to 350m. My favorite rifle in my collection is the Custom Model Seven in 358 Win. that was previously owned by a dear friend that is no longer with us. I love this rifle dearly but I find the 358 limits my comfort level with range. Good thing I can own more than one! Last edited by Rob; 02-24-2019 at 11:17 AM. How about a 30 round mag AR with co witnessed flip up irons and a red dot like I ran with naked and unafraid in the 80s?